We are well acknowledged for offering a smartly range of Mixi Stamping. Owing to the consistent efforts of our dedicated team of professionals, we have been constantly engaged in offering the best quality array of Monoblock Pump Stamping. Having once performed stringent checks over the quality of the products and items in which we deal with, our company has been dedicatedly engrossed in offering Motor Stamping. We are a leading organization, engaged in manufacturing and supplying Stack for Mixer Grinder Motors. These are appreciated for their features like high efficiency, reliable performance, less maintenance and durable finish. Our clients can avail these high quality mixe stack for mixer grinder motors from us in various specifications. 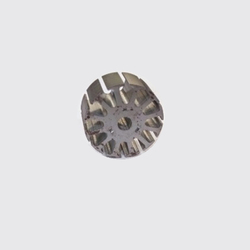 We manufacture Electrical Motor Stamping for Induction Motors. 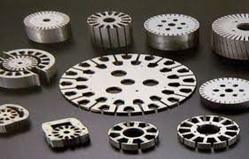 We are the leading mfg of electrical motor stamping .we have specialized tools as per customer requirement. The company manufactures a wide range of premier quality and sturdy Motor Stampings for wide use in motors and transformers. They are manufactured by using superior quality steel and metals. Leveraging over the skills of our qualified team of professionals, we are involved in providing Motor Stamping Cores. These Motor Stamping Cores are available in different sizes, standards and range as per the requirements of the customers. At market leading price, clients can avail this product from us. Magnesco Electrical Stamping Pvt. Ltd.